God is Everywhere...In Washington, D.C. Separation of Chruch and State? Does Our Nation Still Trust in God? Why Do Lions Have a Mane? In the course of my life as a preacher and apologist, I have been able to travel all around the world. I have traveled to Russia and Ukraine, Austria and Amsterdam, Panama and Peru. But one of my favorite places in the world to visit is Washington, D.C. Last month I went with my son’s eighth grade class to our nation’s capital. Our trip only lasted a few days, so there was no way we could see everything. But we did get to see the Washington Monument, Lincoln Memorial, Jefferson Memorial, National Archives Building, Capitol Building, Museum of Natural History, as well as many other significant memorials and attractions. One of the most interesting things about the Capitol is the fact that our country’s Founding Fathers had a strong belief in God and His Word. It is sad to say, however, that in many schools and public places, people are trying to take “God” out of things. In some schools, the Ten Commandments cannot be posted, students cannot lead prayers, and Bibles cannot be read. But that is not how our country started or was supposed to be. In fact, our trip to Washington helped us see that the United States of America was founded on principles taught in the Bible, and many of the monuments and exhibits prove this fact. 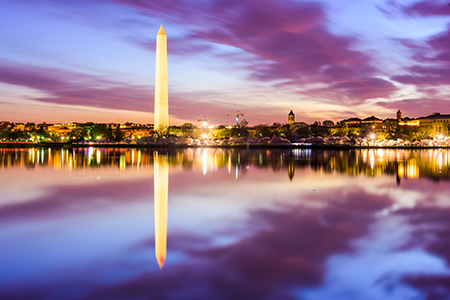 For instance, the Washington Monument is the tallest structure in the Capitol. On the very tip of it there is a 100 oz. 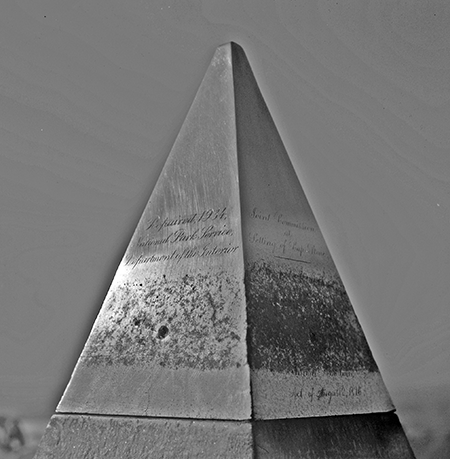 aluminum triangle with writing on four of its sides. On one side, the phrase Laus Deo is inscribed. This phrase is Latin and means “Praise be to God.” Isn’t it interesting that in a country which seems to be trying to erase God from many places such as schools and courtrooms, at the very tip of the highest structure in the nation’s Capitol, it says that praise should be given to God? We should let such monuments remind us that our nation was founded on the idea of God, and if we forget that fact, our nation will have trouble. The writer of Psalm nine said: “The wicked shall be turned into hell, and all the nations that forget God” (vs. 17).